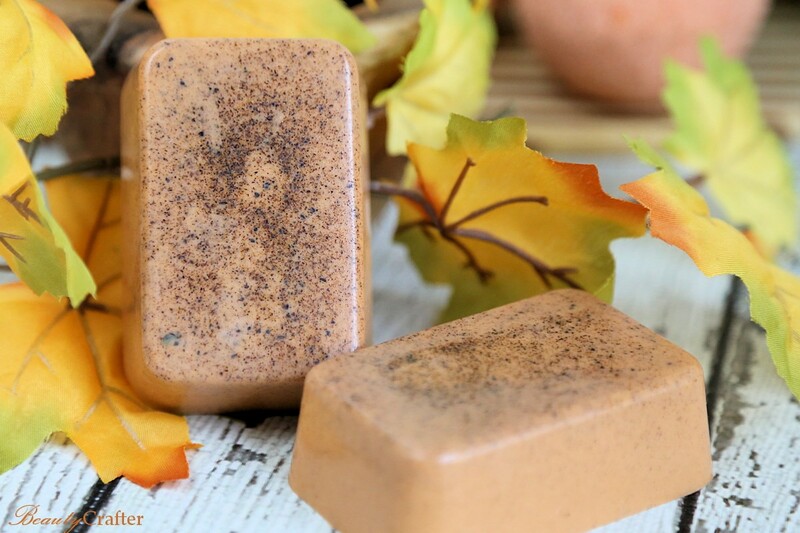 Make this Pumpkin Spice Soap Recipe as an easy fall DIY gift for your favorite pumpkin spice lover or spoil yourself. The recipe only takes a few short minutes to make. 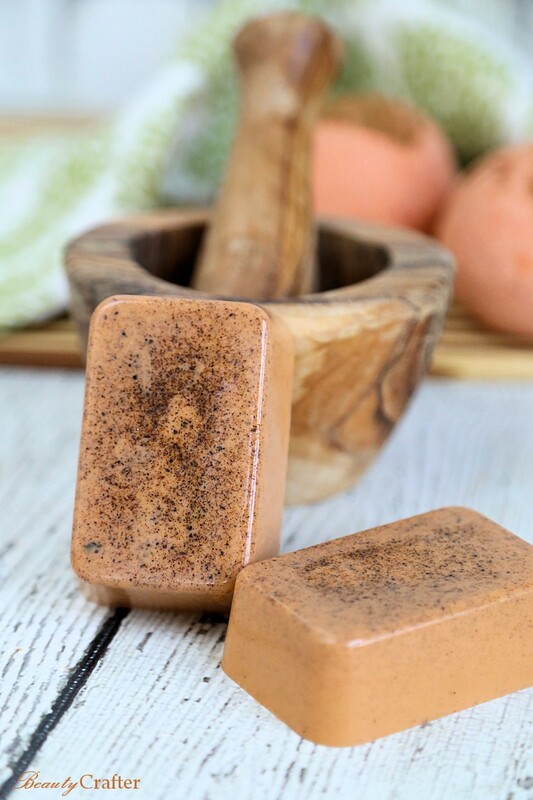 This pumpkin spice soap recipe features creamy goat’s milk soap base, which can be melted in the microwave in mere seconds. Spices, colorant and scent are simply mixed in and the soap is ready to pour in molds. A silicone mold makes release of the soap bars a breeze. Such an easy craft, but the results make a fantastic seasonal gift. Team this soap with my Pumpkin Spice Bath Bombs or Pumpkin Spice Sugar Scrub and make a gift basket! 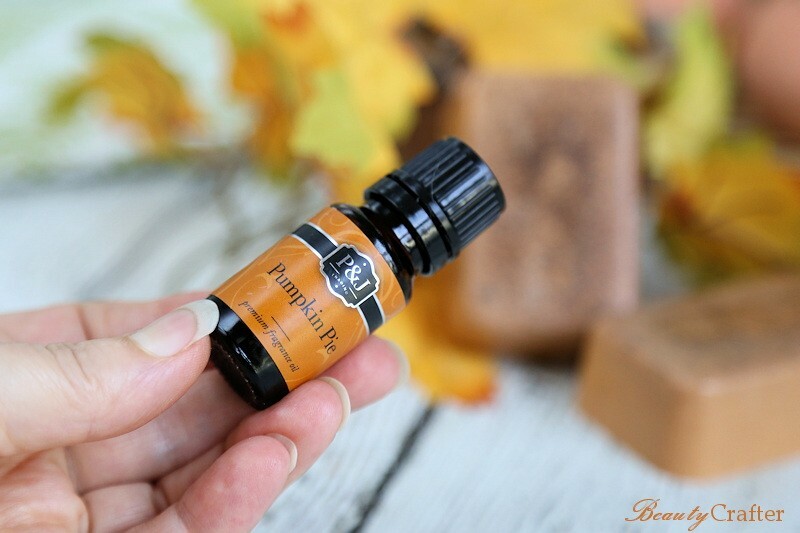 Grab Your Supplies to make Pumpkin Spice Soap! Cut chunks of the goat’s milk soap off the block until you reach the proper weight, then place in microwave safe measuring cup or bowl. Microwave until soap base is melted. (roughly 30 seconds). Stir in the pumpkin pie spice and gel food coloring until well mixed. While still liquid, but slightly cooled, add the fragrance. Stir gently while pouring into mold to ensure uniform distribution of the spices. The recipe makes exactly two 3 oz bars with the suggested silicone soap mold. Quantities will of course vary in other molds.